Our Health in Action series profiles people in the community who are living Actively Northwest. Follow along each week as we profile new people who are committed to living active, healthy lives through fitness and food. Gardening and cycling—what do these two things have in common? For Bill Thorness, they both provide relaxing ways to experience and enjoy our wonderful Northwest surroundings. 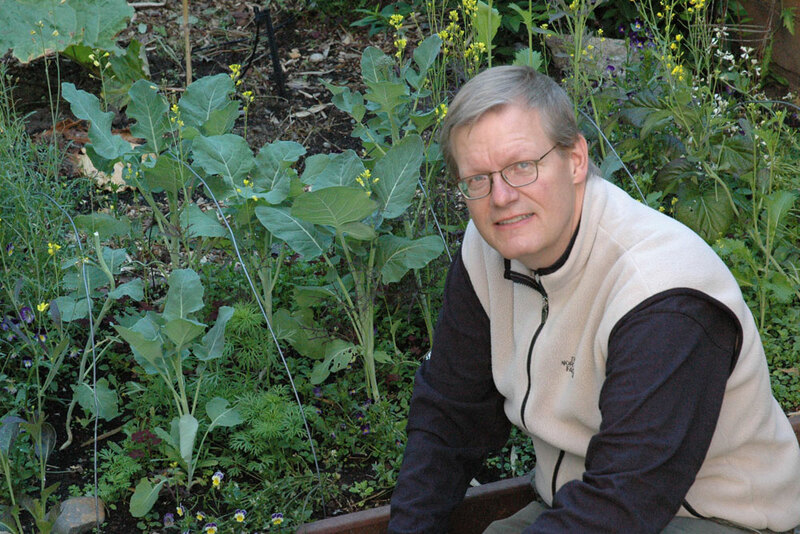 For gardening inspiration, Bill hops on his bike and explores the gardens and growth of Puget Sound. How else does he combine his two passions? Read on for more on Bill’s two books, his favorite places to ride and beginner biking and gardening tips. ANW: What was your inspiration for authoring Edible Heirlooms, Cool Season Gardener and Biking Puget Sound? Bill: Sharing knowledge is what my writing is all about. I’ve been very fortunate to learn gardening from a lot of great people, and I feel good when I pass that on to others. Edible Heirlooms, my first gardening book, is about growing heirloom vegetables, which are the old variety of edible plants that our grandparents used to grow. My memories of growing up on a farm in North Dakota, of saving our own seed to use for next year’s garden and farming operations, was a big inspiration. For my second gardening book, Cool Season Gardener, I felt like giving back to the community that taught me. When I first moved to Seattle in the mid-1980s and started gardening here, there were two books that were instrumental to getting me started. Both of those books went out of print. I thought by doing a new book that incorporated their themes and my own practices, I could pay it forward to the next generation of gardeners moving here. The bicycling book just brought out the tour guide in me. I always like sharing our amazing environment with visitors and friends, and Biking Puget Sound allows me to do that on a grand scale. I can direct people to some of our best Northwest scenery, and how to get there safely doing a very healthy recreational activity. ANW: Where are some of your favorite places to bike around the Puget Sound? Bill: I’m glad you asked that! I love the Snoqualmie River Valley east of Seattle. It runs from Duvall in the north to Fall City in the south, and there are good side roads for safe, relaxed biking. You have views of rivers, farms and the mountains, or at least the foothills, if you’re out there on a cloudy day. The Kitsap and Olympic peninsulas are also very fun places to ride, and the traffic is lower over there than it is on the Seattle side of Puget Sound. Take a ferry across to Bainbridge Island, check out Winslow and climb the rolling hills of that quiet island community. Or take the Edmonds ferry to Kingston and bike around the north Kitsap Peninsula, from Point No Point Lighthouse to Chief Sealth’s Grave. If you want to go farther or make a weekend out of it, ride to Port Townsend. 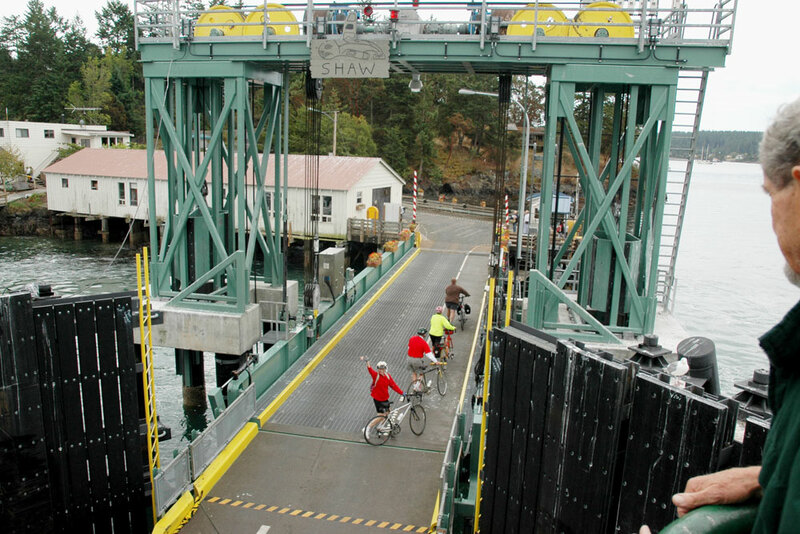 Touring the San Juan Islands by bike makes a great vacation. There are very few cars on the island roads. Hop the ferry to Friday Harbor, get a place to stay, and then strike out every day in a different direction. You can ride the inter-island ferry for free, and go to a different island each day. ANW: Any tips for people who are new to biking and would like to get started this summer? Bill: We have great trails for new cyclists. “Rail-trails” that used to be railroad rights-of-way are generally flat and smooth. They go long distances and have well-marked road crossings, so you can travel a long way and be very safe. Most of them are paved. If you live in North Seattle, you can probably reach the Burke-Gilman Trail pretty easily. In West Seattle, Alki Trail is a great starting point. In southeast Seattle, Lake Washington Boulevard is especially fun when it’s closed to cars. Or you can put your bike on the car’s bike rack and drive to some great trails. 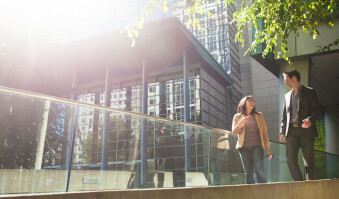 Find the Foothills Trail east of Tacoma, the Centennial Trail heading north out of Snohomish, and the Sammamish River Trail between Woodinville and Redmond. If your bike can handle a gravel trail, try the Snoqualmie Valley Trail, heading south from Duvall. ANW: What are your favorite things to grow in your Northwest garden? Bill: There are some wonderful Northwest heirloom vegetables, like Spanish Roja garlic. Doesn’t sound very Northwest-y, but this garlic variety was brought to the Portland area by Greek immigrants, and first called “Greek blue.” It’s a medium-hot garlic and grows great here. Walla Walla Sweet onions also grow well in Puget Sound’s maritime climate, although you probably won’t get as large as the ones grown east of the mountains. I love them grilled and draped over a burger. Ozette potatoes are also a treasured Northwest find. These knobby fingerlings were given to the Ozette Native American tribe by Spanish explorers in the 1700s, and they’ve been grown there ever since. They’re a bit hard to find, but worth it. The flesh is mild, yellowish-white, and creamy. Look for them at the farmers markets too. Blueberries grow well in Seattle, they are very good for you, and they are easy to cultivate. Your biggest problem will be keeping the birds from eating them all before you get to them. Raintree Nursery offers some varieties that are either native to the Northwest or hybridized for our climate. And they sell protective bird netting. ANW: Are there any advantages to gardening in the Northwest? Any tips for people without a green thumb? Bill: Our mild climate gives us a great growing advantage, especially for “cool season” crops—vegetables that thrive in cooler climates. 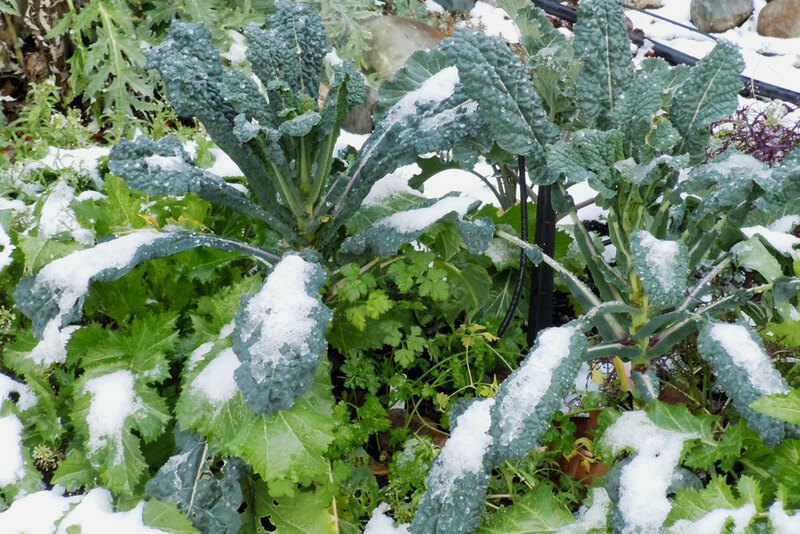 Kale, cabbage and broccoli are among the most hardy cool-season crops. Try Lacinato kale, also known as palm tree or dinosaur kale. Many lettuces and Asian greens are also in this category. With these, you can start earlier in the spring and keep them growing longer into the fall. With a little help, they can even be in the garden and feeding you all winter. It feeds the spirit as well as the body when you put fresh, nutritious food on your table straight from your garden. 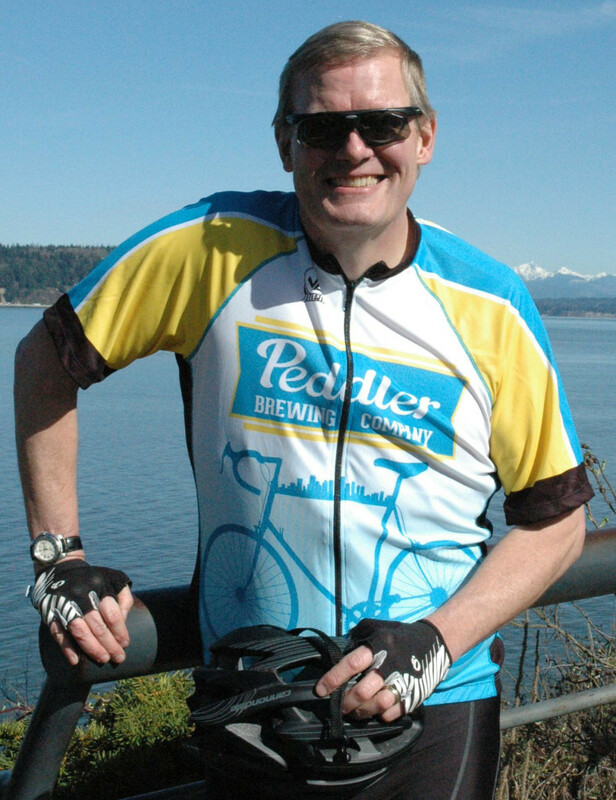 To learn more about Bill Thorness, visit his website or his blogs Biking Puget Sound and Cool Season Gardener. Photos courtesy of Bill Thorness.